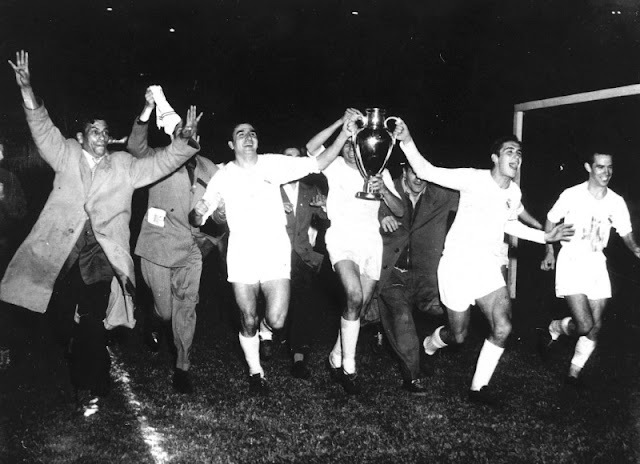 While the other famous club sides in this series, particularly the Milan side of Arrigo Sacchi and Pep Guardiola's Barcelona were defined in large part by the footballing philosophy of their respective managers, this certainly doesn't apply to the great Real Madrid squad of the late 1950s. 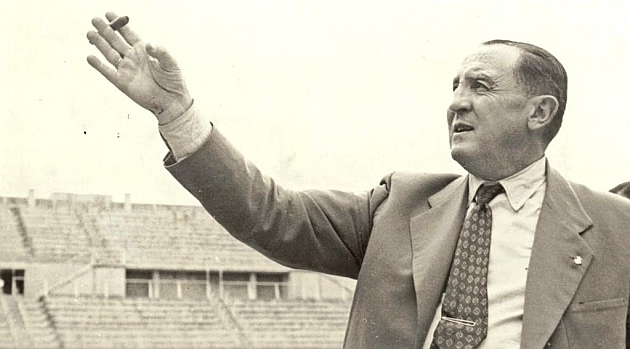 Rather than being influenced by a single manager during their record breaking run of five straight European Cups, Los Blancos went through the tenureship of José Villalonga, Luis Carniglia (twice), Manuel Fleitas, and Miguel Muñoz (twice). But that's Real Madrid in a nutshell, a football institution that wins titles with colourful players and even more colourful presidents, but where the manager is as disposable as yesterday's daily newspaper. The story of that wonderful Madrid side began to take shape when Santiago Bernabéu de Yeste was appointed president in 1945. He would become the first in a long line of powerful overseers of the club, but none have come anywhere near close to matching his influence or success. But it wasn't an easy start for the man who Real's stadium is now named after. Bernabéu took over a club that was in ruins following the Spanish Civil War, with a decimated board room and a subpar playing staff. He quickly got to work on a two pronged approach of building up the club's youth side and signing the best available talent in Spain and beyond. 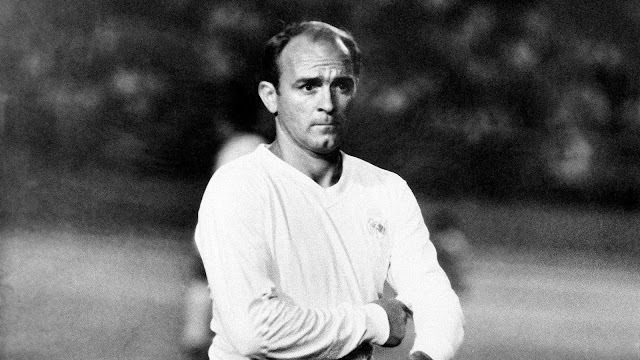 Madrid's fortunes took a dramatic upward turn in 1953 when Bernabéu hijacked Barcelona's attempted capture of Argentinian attacker Alfredo Di Stéfano and instead brought "The Blonde Arrow" to the Spanish capital. 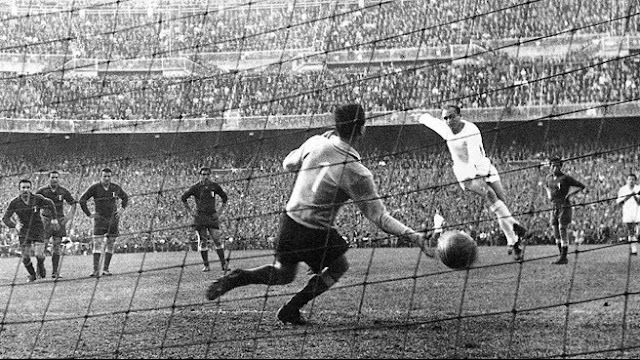 If you were to pop into a cafe in Madrid, even today, and engage in conversation with football fans of a certain age they will tell you to forget about Lionel Messi, Diego Maradona and Pele, because the greatest player of them all was Don Alfredo. Although scant footage exists of the man his contemporaries refer to as football's most complete player ever, when considering the Argentine's influence on the game the old Madridistas may have a point. 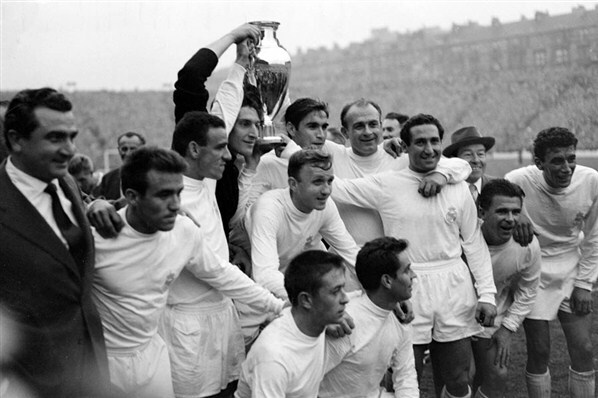 Di Stéfano, with a talented supporting cast including Paco Gento and Hector Rial, helped Madrid storm to victory in the first ever European Cup Final in 1956 by virtue of a 4-3 win over Stade de Reims. Madrid also helped themselves to the signing of Reims best player following the final, when they added Raymond Kopa to their glittering array of attacking talent. 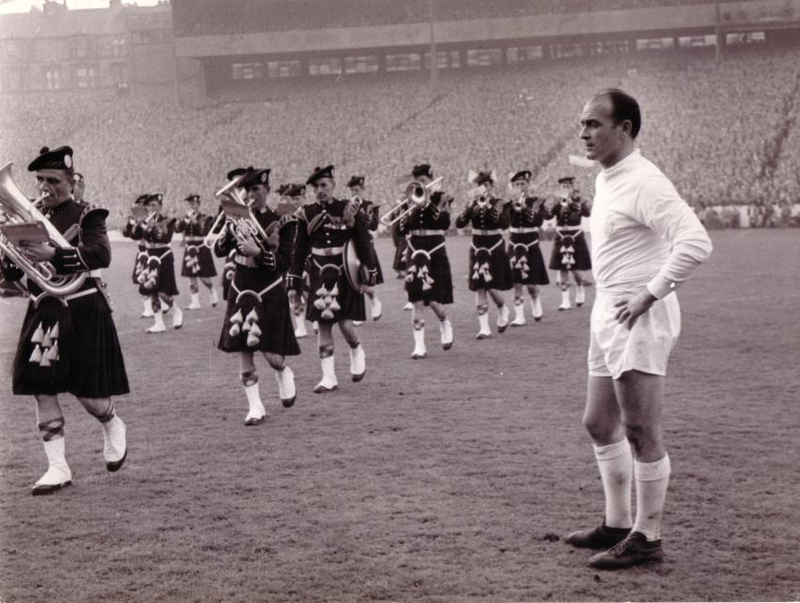 The club would go on to win the European Cup again in 1957 with a 2-0 victory over Fiorentina, and would follow that up with a tense 3-2 extra time win over AC Milan in 1958. Another win over Stade de Reims in 1959, this time by a score of 2-0, made it four straight cups for Madrid. Their opus though would come with the last of their five straight European titles in 1960 when 127,621 stunned spectators at Hampden Park in Glasgow witnessed Madrid destroy West German champions Eintracht Frankfurt 7-3. Scoring in his still record fifth straight final, Di Stéfano plundered a hat trick while Hungarian legend Ferenc Puskas helped himself to four. The following season saw Madrid finally ousted from the tournament, beaten at the semi-final stage, as age started to catch up to some of their leading stars. Club football has seen a number of brilliant and innovative teams in the past fifty years, but it's impossible to imagine that anyone will match the five straight European titles by the side that Bernabéu built.